from architecture to zymurgy, on location and in the studio, we cover all picture needs for advertising, brochures, magazines, books and display prints. please phone or email to discuss your requirements. architectural and aerial photography of large and small, ancient and modern buildings and their interiors using a Linhof 5x4" technical view camera, pictures of details, fittings and abstract views also produced. interior photography of public buildings, offices, houses, hotels and aircraft. 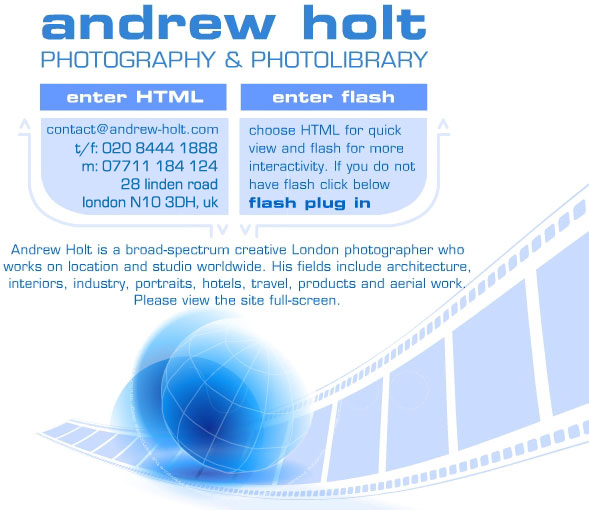 extensive supplementary lighting available when required and 360 degree interactive website panoramas can be created. portrait photography can be format or candid and taken in the studio or on location with additional lighting as necessary.